Heart patient diet recommendations can be challenging to sort with the many deceiving fad diets that allude to heart health. It is extremely important to make a distinction between crash diets and healthy eating plans, especially when it comes to matters of the heart. The first step in developing a healthy eating plan conducive to optimal heart health is to determine your specific needs. A person who has just undergone open-heart surgery will have different needs than someone who is taking preventative measures to avoid having a heart attack. Catering dietary interventions to your specific goals and health concerns is ideal. Along with regular physical checkups, heart patients can benefit from seeing nutritionists in order to gear a plan to their specific needs. Each person is different, but certain heart healthy guidelines may be appropriate across the board, and select heart patient diet plans are ideal for creating regular habits that promote cardiac health. Some patients may be put on a diet before and after undergoing heart surgery. The Keck School of Medicine from the University of Southern California offers general nutritional guidelines for people to follow that include reducing solid fat and sodium intake. Sodium is problematic because it causes the body to retain fluids, and it can lead to high blood pressure. High levels of saturated fat and cholesterol in the bloodstream can accumulate in the blood vessels, causing them to thicken. Each of these conditions interferes with the heart's ability to function properly, leaving it overworked and depleted of oxygen. Many of the guidelines are common sense, focusing on low fat, and low sodium intake merged with a high fiber, high nutrient intake. Healthy fats may be a surprising addition to some. A cardiac diet involves balance, including moderate intake of healthy fats. Prevention's Flat Belly Diet is a great choice because it incorporates healthy fats, called MUFAS into each meal. The program is effective in removing heart-challenging visceral fat around vital organs in the midsection. The Mayo Clinic suggests a Mediterranean diet is a great option for cardiac health. Many resources offer viable ways to integrate the diet into your lifestyle. Programs like the Mediterranean diet can promote heart health, while some eating plans are not conducive to good cardiac health, in spite of their claims. Sacred Heart Diet is an offset of the fad cabbage soup diet, and it has no verified connections to Sacred Heart Memorial Hospital, as its name implies. 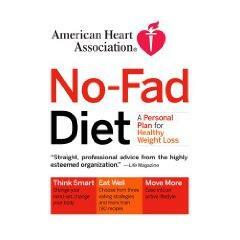 American Heart Association 3 Day Diet is a deceptive fad diet that is not affiliated with the American Heart Association. 3 Day Tuna Diet claims to be associated with the Cleveland Clinic, as the plan is often referred to as the "Cleveland Clinic Diet" but no legitimate diet exists through the clinic. Alabama 3 Day Diet is a cardiac fad diet that has been circulating under many different names. As a rule of thumb, an eating plan that forces you to stick to a rigid program for a relatively short period should be avoided. Ideally, a heart healthy program involves permanent lifestyle changes that are easy to live with. Exercise can help the heart as well. Exercises for hypertension used with approval of your physician can help to reduce blood pressure, taking pressure off the heart. A heart patient diet should always include input from a qualified physician. Always check with your doctor before adopting any diet or exercise programs, including ones that are designed to improve cardiac health.